When: This Saturday, March 16 from 10am to 3 pm. Arrival: 9:30 am. Where: St. Joseph’s Church Conference Room, 790 Salem St, Malden 02148. Park at rear of church. Details: Fr Peru Dayag - Retreat Master. Potluck. Mass Cancelled - March 10.
scheduled for 1 pm today is cancelled. Please stay safe and warm. Father Peru will be available for confession every Second Sunday from 12 to 1pm at St Joseph Church. ABSTINENCE: Catholics over 14 years of age are bound to the obligations of abstinence. Abstinence is to be observed on Ash Wednesday and the Fridays of Lent. Meat should not be consumed on days of abstinence. FASTING: Catholics from the age of 18 to 60 are bound to the obligation of fasting. 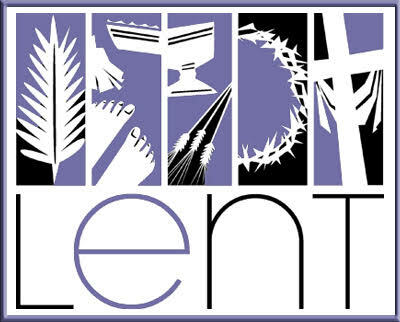 Ash Wednesday and Good Friday are the days of fasting. On these days, only one full meal is allowed. Two other meatless meals, sufficient to maintain one's strength, may be consumed, but together they should not equal another full meal. Eating between meals is not permitted, but liquids, including milk and fruit juices are allowed. Saturday, March 16, 2019, 10 to 3 p.m.
Sunday, March 24, 2019, 1 to 4p.m. Lent is a time to become more solidly grounded in our faith. Making more time for prayer and Scripture, fasting from things in our lives that keep us from giving ourselves wholeheartedly to God, giving of ourselves in service to others: far from depriving us, these are the tools we can use to ensure that we are firmly rooted in the things of God.